Tired of the same ol' thing? How about tree-top or war-zone getaways? Ever get the urge to sleep with the fishes? Resort owners think you do. 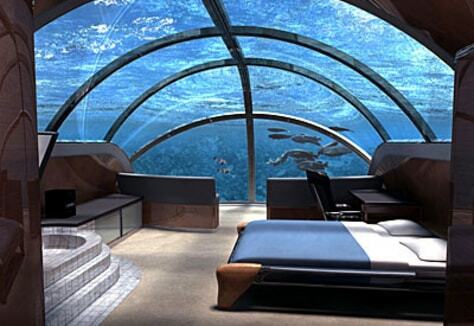 At least two companies are competing to build the first full-fledged underwater hotel. Bruce Jones, president of Poseidon Undersea Resorts, says his company is on track to complete an undersea resort near a Fijian island by the end of 2008.